Do you want to improve your homemaking skills and grow with other women in a Titus 2 setting? The Homemaking From Scratch 2014 online conference is designed to encourage you in Gospel-Centered Homemaking and promises to give you the tools you need to thrive in your home! Register now to get complete access to the the online homemaking conference as well as entrance into the private Facebook discussion group, exclusive conference notebook, and bonus homemaking resources! Jump start your effectiveness as a homemaker with this complete homemaking conference! If you need some encouragement in your marriage, we are here to help! We are going to dive into Scripture and see what God’s Word has to say on submission, having a thriving marriage, working through stressful times, and so much more! Finding the time to cook, meal plan, make healthy meals, etc takes a lot of time and can feel overwhelming! During the conference, you will hear some excellent tips and wisdom from women who have figured out how to balance it all while focusing on the most important thing: their families! While having a perfectly clean house isn’t the most important thing in life, creating a warm atmosphere in your home where your family can focus on God and serve others is important! Take a journey with us to discover how we can use schedules and routines to transform our home. Taking the first steps in creating a healthier home can be so difficult! It’s hard to know what is safe and what isn’t, where to find non-toxic cleaning & beauty products, and where you should start! We will cover all of that and more. Developing routines – from laundry to Bible reading to meal planning – is a key ingredient in more effective and efficient homemaking. Learn how creating homemaking routines can have a powerful impact on your home and sanity! For many of us, motherhood is a huge part of our homemaking responsibility. So what does God’s Word say on motherhood and how can we have joy in the midst of this calling? Take a journey with us into Scripture to find out! Listen to the Conference at your own pace & when YOU have time! This conference is designed for busy homemakers! We know that you might need to pause a session or come back to it later. When you purchase a ticket to the conference, you will have access to these video sessions forever to watch over and over! Along with your conference ticket, you will get these three bonus resources for FREE!! Learn from other Titus 2 women on how to more effectively manage your home. We are here to HELP! What does it mean to be a homemaker? To kick off this conference on homemaking, Jami opens up the discussion by taking a look at what Scripture defines as a homemaker. The position of a homemaker is not dependent on marital status or occupation. God has called all women to this important and noble position. Take a walk with us and discover what it means to be a woman who glorifies God in her home. Jami is passionate about Biblical Homemaking and striving to be a woman of God. Jami and her loving husband Jason, have twin toddler boys and are busy discovering what it means to be Christ-Centered parents. She has a heart for hospitality and making her home an inviting place that reflects Christ. She blogs about this passion at Young Wife’s Guide. Jami is the founder of the Christian Homemaking Community which exists to Glorify God & encourage women in their roles as homemakers. What does homeschooling really look like? The sticky floors, bad attitudes, lost school supplies, laundry piles and the many other day to day issues homeschooling moms face. A lot of us struggle with expectations, finding joy in the chaos, and feeling like we’re somehow inferior to other homeschooling moms (you know, the ones who surely must have it all together). In this session, Kristy dives into her honest struggles in these areas and how she’s discovered purpose and freedom. I’m Kristy, and I’m passionate about Jesus Christ, my pastor husband, my five kids, and intentional, Biblical living. Motherhood is my career, but I sneak away during nap time to write about my loves at Little Natural Cottage.You can connect with me on Facebook but most days you’ll likely find me in my kitchen- barefoot and wearing an apron! Was is the basis for Biblical Motherhood? How can we parent with one foot firmly planted in Scripture? In this encouraging session, Christin reminds us of the overwhelming grace that God gives us to be godly mothers and examples to our children. Get ready to have a heart to heart with Christin on the basis of Biblical Motherhood, legalism, anger, and more! Married nearly 14 years and mother to seven children, Christin aims to encourage and empower moms to seek Christ and live out their fullest potential as a mother. She has recently begun a weekly accountability group called, Moms in the Word. You can find her writing at Joyful Mothering. Gluten-free living might seem like a fad, but there are real health benefits behind this way of eating IF done correctly. Trisha gives you a brief tutorial on what the problem with gluten is (in easy to understand terms) and help you navigate transitioning your family to this way of life the healthy way! If you are curious because friends and family are gluten free and you want to understand it better – or just starting this journey yourself – Trisha is there to explain it all and make it easy to understand! Trisha is wife to Luke and a homeschooling mommy to 4 wonderful boys. When Trisha isn’t keeping up with everything going on at the house, you can find her writing on her blog Intoxicated on Life and Breastfeeding Place. Keeping your marriage strong, and always growing, is really hard work! Sometimes, even the smallest communication can be hard. In this session, Marlene shares from her own personal experience, what it takes to really keep your marriage going strong and growing in the Lord. She takes an honest look at what it means to have a Spirit-led marriage and how our willingness to be immersed in God’s Word is so vital to our marriages. Marlene is a wife to an amazing husband and a mom to three kiddos. Her days as spent making her home a haven for her family, and homeschooling their kiddos in-between hugs and snuggles. In her not so spare time she enjoys crafting, painting (canvas not wall), or just relaxing with a cup of coffee and a good book. You can find her blogging at A Diligent Heart. She loves the Lord and is passionate about living life diligently for Him, in everything she does. Clutter is often the #1 stumbling block to a clean home. Too much stuff all over means a messy house, a harder time extending hospitality, and a cluttered mind. Dana approaches this subject of decluttering from a Biblical perspective – why it matters – and why cleaning can become an idol. Listen to this session and you will walk away encouraged and equipped with hands on tools for delucttering your home and creating a better atmosphere for your family. At A Slob Comes Clean, I tell the completely honest (and never-ending) story of my personal deslobification journey. I share cleaning and organizing strategies that actually work. In REAL life. Like, for someone who doesn’t like cleaning and organizing. And I’m funny. What prevents you from cultivating a rich, vibrant and thriving relationship with God each day? Does the Bible feel inaccessible? Do you lack the habit of daily time with God? Are you simply undisciplined in this area and struggle against laziness? Or perhaps you’re doing this already but could benefit from fresh ideas. In this session provides encouragement, motivation and creative and practical helps for women just like you, no matter where you are on this journey. Start living in the fullness God has for you today! Hi! I’m Katie, editor and contributor to Embracing a Simpler Life. I’m a young-ish, stay-at-home mom of two adorably-fun little ones, and I live a life devoted to Jesus. My husband works for our church as a tech guy, and together we have a photography business. We live in the St. Louis area. The ability to nurse sick kids, get the laundry done, shuttle kids from one activity to the next and cook a mean meatloaf are all in mom’s bag of tricks. Is she can find her bag. Where did I put that bag?! Professional Organizer Lisa Woodruff will help you understand how to get organized once and for all. Organizing the many facets of mom involves learning simple systems to organize your home, paper and time! Lisa is a professional organizer from Cincinnati, Ohio. She is passionate about sharing her love of organization and the freedom an organized life brings through her blog, speaking engagements and eBooks on her blog Organize 365. Over the past 15 years Lisa has created systems and encouraged hundreds of women as they have organized their time, home and businesses. Hospitality is about so much more than entertaining. Hospitality is about opening up your home, and using the resources that God has given you, to serve others. Jami starts her session focusing on the Biblical mandate of hospitality and then focuses in practical ways you can start extending hospitality to those around you – even when you live in a small apartment, don’t have a lot of money, or feel totally inadequate. Hospitality is a command for all believers to fulfill – let’s go on a journey and discover how easy it can actually be to fulfill this serving opportunity from within your home! In the midst of the stresses, messes, and the mundane seasons of life, it’s so hard to maintain a thriving marriage. In this powerful session, Jolene gives you some valuable tips for a thriving marriage no matter what season you’re currently living in. Every marriage goes through seasons. Seasons of stress whether it’s hardship or heartaches. Seasons of exhaustion or the dreaded overwhelmed schedule. Seasons of the daily rut that life can bring. Every marriage needs intentionality to thrive during all of these seasons. Jolene takes a walk through Scripture to give you the recipe for a thriving marriage. Jolene loves Jesus, her husband, and her boys. Her heart is to help Christian women, wives, and moms experience a deep and abiding faith in Jesus Christ. She shows women how to apply practical and biblical truths that encourage and inspire them to live a life that is poured out for Christ like the perfume from an Alabaster Jar (Luke 7:37). She’s the author of the books, Wives of the Bible: 25 Easy Lessons You Can Learn from these Imperfect Women that Will Radically Transform Your Marriage and How to Create a Christ-Centered Christmas for Your Kids. You can find her sharing God’s heart for equipping women at, The Alabaster Jar. She is also the founder of Christian Wife University. Do you want to create a healthier, more natural home but have no idea where to start? Are you confused by all the ingredients in your beauty, skincare, cleaning, and household products and feel totally overwhelmed? Hilary shares her story and how her family came to realize that the products within her house were toxic and dangerous! She then gives you all the tools you need to identify dangerous products lurking in your medicine cabinet, how to find healthy and natural alternatives, and how you can do all this while saving money! 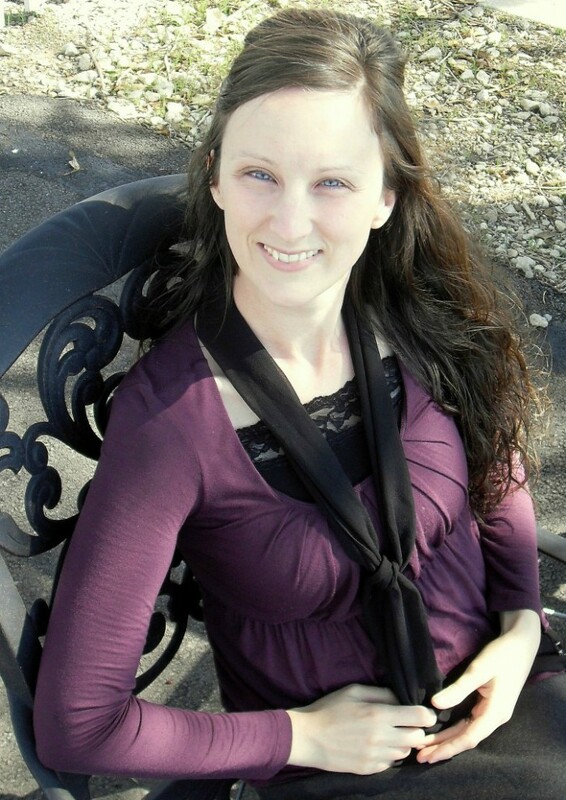 Hilary is a Christ follower, wife, homeschooling mama of two young children, and journalist. She writes about making healthy decisions that honor God and happen to help the environment at Accidentally Green. During her first pregnancy, Hilary discovered preventable health hazards found in everyday life. Wanting to be a good steward of the family God entrusted her with, she began choosing healthier products and practices. Being environmentally friendly never crossed her mind, until she realized most of her new choices were green … quite accidentally. This session is your chance to learn from an older, wise, Titus 2 woman on what it means to be a Biblical Homemaker. How can we glorify God within our Home? Marci walks you step by step how to create smooth homemaking routines so that you can better gain control of your home, your day, and your life! This session is packed full of practical advice, wisdom from Scripture, and a heavy dose of Grace. Learn how to craft a homemaking routine and schedule that works for your family! Marci blogs at Thankful Homemaker and is a lover of the Lord Jesus Christ, married to her sweetheart Doug for over 28 years, mother, mother-in-law, and grandmother. She is here by God’s grace and overwhelmed by His kindness in redeeming her as His daughter. Loving her husband, children and grandchildren, reading, sharing her faith, home keeping, cooking, sidewalk counseling, feeding lots of people and making lists are some of her favorite pastimes. What does God’s Word have to say about chores? Is it even worth it to go through the extra work to teach your kids how to do chores? What’s the right way to go about it? Alina Joy answers all these questions and more in her session on getting kids involved in chores. Starting with Scripture and continuing into practical advice and routines, Alina Joy equips you with the tools you need to get your kiddos involved in chores and your house running smoother! You will have the opportunity to chat, grow with, and learn with other women. We will have opportunities to get to know one another, ask questions, share resources, and more all from within a private Facebook group! It's like getting to sit down and have dinner at a live conference with other Titus 2 women. We want you to get the most out of this conference as possible, so we've created a conference notebook to go along with all the sessions! Inside you will find the schedule, outlines for each sessions, resources, links, a place for session notes, and other goodies. You can save this PDF on your computer or print it out and have everything you need to start transforming your homemaking...TODAY! Because we know what it's like to be a busy homemaker, we've designed this conference so that it's easy to access anytime, anywhere, and on any device. The conference sessions are pre-recorded for the best possible quality and created so that you can listen at your convenience! Listen to the sessions when YOU have the time, pause them, come back later, or skip around and listen however you want. Listen to them again and again - the conference sessions are yours to keep - forever! Your purchase is 100% Risk Free. If you're not happy with our online conference for any reason, simply let our friendly support team know (via email) and we'll happily refund your money. Start the process to transform your homemaking today! This is by far my favorite project I have ever worked on! I have learned so much from these amazing conference speakers. Q.Do I need special software to watch the conference? A.No, all you need is an internet connection and speakers or headphones. The conference sessions will be able to play right from your internet browser. Q.How long will I have access to the sessions? A.Forever! We want you to have complete access to this conference – to watch again and again if you want. The sessions will remain on the website for the foreseeable future and if at some point we have to remove them, you will get the chance to save them onto your computer to keep forever. Q.Do I need to be available to listen to all the sessions "live"? A.No. While we will have a schedule for all the sessions from October 7 – 9th, the sessions are avilable to listen to at your convenience. As soon as the session time starts, you can watch the sessions anytime and anyway that you would like. Q.Will I be able to watch the conference on my smartphone, tablet, etc. A.Yes, you can watch the conference and participate from any device that has an internet connection! Don't Miss Out on the Homemaking Event of the Year!